When Hayden Grace’s passion begins to falter, Andy is at a loss for how to re-inspire her daughter. Andy does her best balancing Hayden Grace’s competition schedule, practice, and school with her own work schedule at home, in the city, and on the mountain. But work starts to demand more from Andy. Then, Andy receives an opportunity of a lifetime. An opportunity that will turn their lives upside down. But is it too good to be true? Soon, mother and daughter find themselves in Aspen for Hayden Grace’s first national competition when a chance encounter brings Andy into a passionate, unexpected romance, a romance that could change everything. For me every book is different whether it’s the actually writing process or how the idea forms and translates into a story. 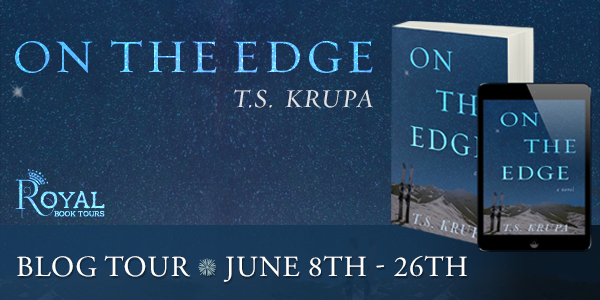 The idea for On the Edge came to me about five years ago in 2010, while I was watching the Winter Olympics. My favorite event is the Men’s and Women’s Half Pipe competition. I just have so much appreciation for the risk they take as athletes and the overall excitement I have as a spectator. 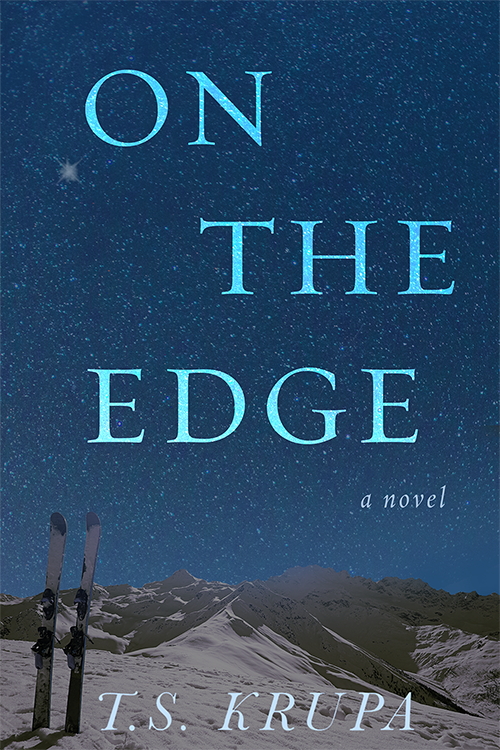 Three things had to come together for On the Edge to become a story. First, unlike Safe & Sound, this novel would take some research because I didn’t know much about snowboarding. I did the majority of my research online and read a lot of tutorials. That only took me so far—so next I reached out to several professional snowboarders in order to properly fact check what I had learned and what I was thinking for my characters. This process really shaped Hayden Grace Parker—her goals, her ambitions, and her journey. Secondly, I wished to explore the perspective of the single parent with a gifted/talented child. I had watched many friends and family members raise their own families. Eventually, there comes a time when they fall into a routine—school, work, home, and repeat. I gathered inspiration from them and started to shape Andy Parker. I wanted Andy to be a strong woman, but not perfect—for the reader to experience and truly understand her challenges and strengths. It was also important Andy’s late husband, Stephan Parker, to be a serviceman for two reasons. My own father serviced in the Army and then the National Guard, until he retired. His service defined who I was as a person, who my family was, and our values. It fit with the story I wanted to tell. But even more importantly, I wanted to highlight the sacrifice these men and women make daily for our country, which is ENORMOUS—I wanted to celebrate that. Until he met Andy, he had conquered everything in life. He never anticipated his greatest challenge would be love. T.S. Krupa was born in New Haven, Connecticut. Raised in a Polish household with a blended American culture, she is fluent in Polish. 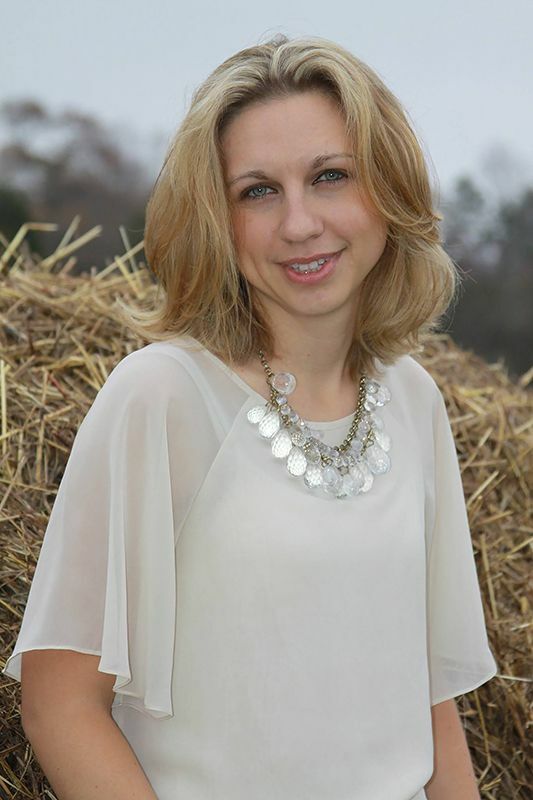 She graduated with her bachelor’s degree from Franklin Pierce University,where she also played field hockey. She earned her Master’s from Texas Tech University and recently graduated with her Doctor of Education from North Carolina State University. She lives in North Carolina with her husband and her dog. In 2014, T.S. Krupa published her award-winning debut novel Safe & Sound. On The Edge is her second novel.